You don’t have a to be a tea master to come up with your own tasty herb and tea blends. It just takes a little experimenting to figure out what tastes go well together and what combinations taste good to you. Here are some of my favorite. These are ones that the flavors blend particularly well together. As with any herb, be sure you know the herb you are using if you begin using one that is new to you. My favorite research resources are listed at the end of this post. Take responsibility for your herb use and do your own research (see my Disclaimers page here). Please make note of any cautions that I list on these blends, but keep in mind that this is not a complete list. You should always research it further if you aren’t sure that an herb is safe to use or consult with your doctor or an herbal practitioner. Dandelion/Red Raspberry Leaf/Red Clover – Ironically, I don’t much like the taste of these herbs individually, but put together they are quite delicious. All three herbs are very nutritious and dandelion and red clover work very well together as a gentle blood purifier and liver cleanser. Please note that Red Clover is an estrogenic herb and should be avoided if pregnant or nursing. 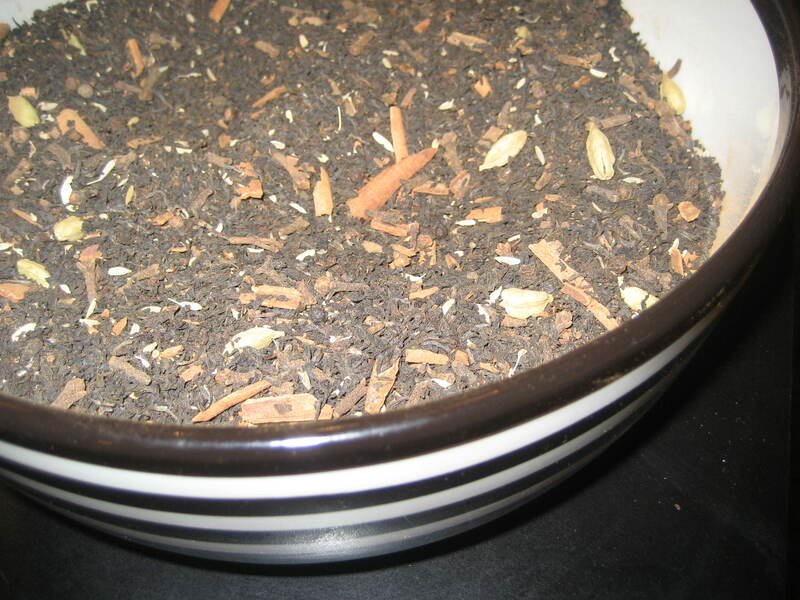 Chai/Nettle/Chastetree Berry/Milk Thistle – I came up with this blend when I started to use chastetree berry to help balance my hormones and I think I like this blend of flavors better than plain chai tea. The chastetree berries have a light peppery flavor that really accentuate and blend well with the chai and nettle. Mmmm. Another cup please. Chastetree berry is safe and beneficial to use while nursing but not during pregnancy. Milk Thistle is a good liver support herb. Chai/Nettle/Turmeric/Cocoa Powder – If you do your reading, you’ll find turmeric has many health benefits (read more here and here). Turmeric has many anti-inflammatory and antioxidant properties and is great for any issues of inflammation and joint pain. You may want to avoid turmeric if pregnant or trying to conceive. As for the rest, who could ever object to chocolate, and then nettle is my favorite herb of all time. 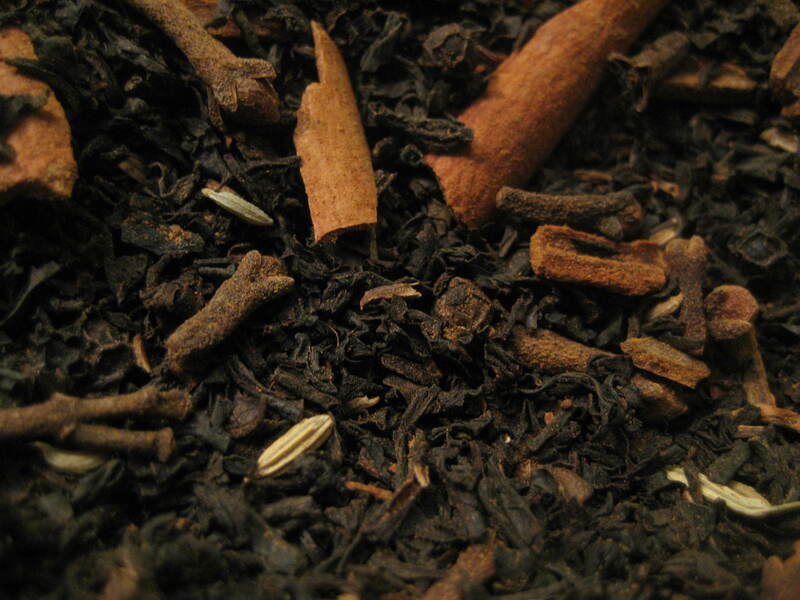 This blend is tasty and delicious if blended with a little sweetener and cream. For best results, brew your dried herbs as a tea and then blend 1/4 tsp of each powder with your favorite sweetener and cream in an immersion blender. If left to sit the powders may settle to the bottom a little. Caution: Turmeric is not for long-term use. Consume no more than 1 tsp. per day and use with caution if pregnant or nursing. English Breakfast/Nettle/Yellow Dock/Tumeric/Cocoa Powder – This may seem like a strange combination but it is a variation on the previous recipe and quite tasty in it’s own right. Yellow Dock is a good liver cleanser and blood purifier. This (or the recipe above) is my substitute when I feel like coffee is getting to me and I need to take a break from it. Simmer 2 tsp. of English Breakfast, 3 tsp. Nettle and 1/2 tsp. of Yellow Dock in a sauce pan in 2 cups of water until you have a strong tea. Strain and rinse the pan. 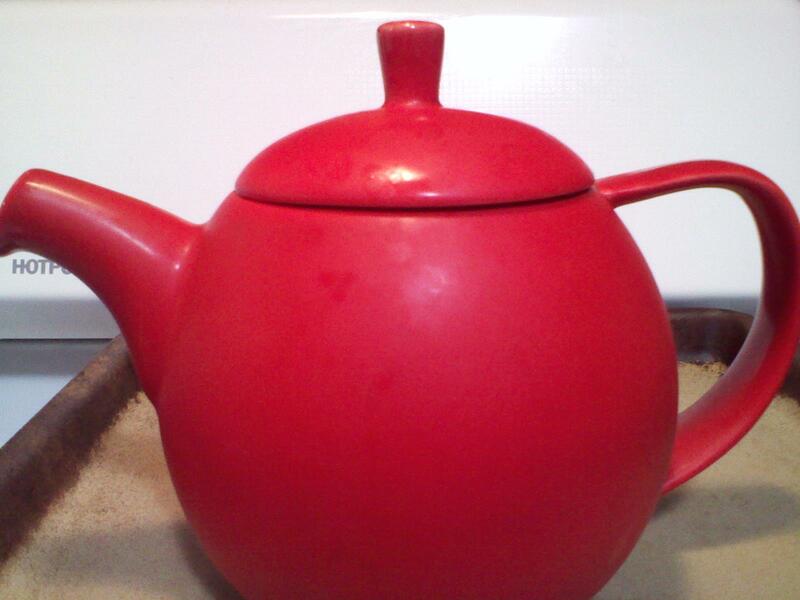 Return the tea to the pan and add 1/2 tsp. cocoa powder and 1/4 tsp of turmeric. Stir and heat until combined. Sweeten with maple syrup and cream to taste. Caution: Turmeric is not for long-term use. Consume no more than 1 tsp. per day and use with caution if pregnant or nursing. Yellow dock is a cleanser and laxative. Not for long-term use (8-10 days at most). Do not use if pregnant or nursing. Turmeric/Ginger: Continuing on the turmeric theme, I found this recipe just yesterday for “Golden Milk.” It’s made with coconut milk and sounds delicious. Nettle/Raspberry flavored black tea – This may be my all time, most basic, go-to blend that I never get tired of. I find something about the flavor of the nettle and raspberry flavored black tea (I purchase mine here or here) to be very satisfying and delicious. I like to drink this blend straight with no sweeteners or added milk or cream. Nettle/Garlic/Cinnamon/Ginger: This is my go to tea when I’m feeling like I’m coming down with something or that I need a little extra immune boost. I can’t say enough about the health benefits of nettle and garlic (my two favorite herbs). And one of the thing that I like the most about the herbs and this blend is that it is very safe for anyone to consume. Steep using a tea infuser/strainer: 1 tsp nettle, 1-2 cloves coarsely chopped garlic, 1 tsp. chopped fresh ginger root, 1 cinnamon stick. Sweeten with honey. You could even add some black tea to the mix if you wish. Black Raspberry Tea/Lime: This one is easy. Brew some raspberry flavored black tea and squeeze in some fresh lime juice. Mmmm. Refreshing. Experiment with your own blends. What do you like? This entry was posted in Herbs, Medicine Cabinet, Recipes. Bookmark the permalink. Hmmmm….they all sound wonderful. I am going to try the Christmas Chai first.